Thanks for following all of my vintage eye-candy on Retro Delights throughout 2012. I look forward to sharing more with you in 2013. Wishing you all a wonderful Christmas and holiday season from my home to yours!! Many say when preparing a home for sale you should start with the front door because first appearances are so important. No, we are not selling our home, but we did think was time to spruce up our door after living with the not so nice mission brown and screen since moving in 18 months ago. The magazine photo shoot was also the perfect excuse to get onto this project! The final colour choice being Wattle's Canabria is a beautiful fresh aqua that spells out "sea breeze". 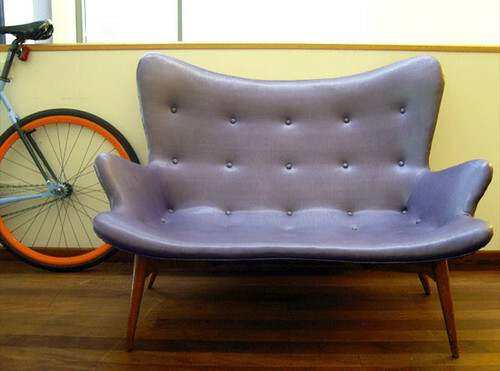 It is similar to the blue hues that were rather popular during the 1950s-1960s. We are very very happy with the results. First impressions - looking mighty fine I say! We had the best day yesterday. After 4 months of narrowing down a date we had our photo shoot for a feature spread in interiors magazine Inside Out. There is nothing like having an incentive like this to get a few extra things done around the house! Actually, it was epic what we achieved in those 4 months. We managed to finish our bedroom, the hallway, the stairs (which took 6 full days), plus 24 hrs before the shoot we decide to pull up the carpet in the Messagemark studio and paint all the window sills. And of course then there was the cleaning along the way. All happy with the composition! So what does a photo shoot involve? Well, a stylist and photographer spend a full day setting up, composing and capturing the best possible angles in the best possible light. Luckily our home has heaps of natural light and lots of 'retro delights' to use as props, so Rebekah and Jacqui were happy with what they had to work with. An eye for design, Rebekah the Stylist sorting out the props inc. Denis! Even Hestor our cat had an important role. It was very funny trying to get him to sit in a certain spot, or lie a certain way on the couch while enticing him with cat biscuits! Then there were the portraits of us standing at our newly painted exterior door, and a couple more pics of us sitting in the lounge sipping empty cups of 'tea'. (Scullery Made of course). Oh, and the one of Denis cutting fruit in the kitchen was rather sweet! It will be interesting to see which photos they end up using. I now have to do an interview over the phone for the feature story and it is likely to be published in May/June of next year. So a lengthy process overall! The Team - the Stylist, Tea Maker and Photographer! I learned so much and thank both Jacqui Way (Jacqui Way Photography) and Rebekah Cichero (of One Small Room) for allowing me to hang out while they wove their magic around our place. This is going to be the most anticipated magazine in all of history!!!! A big personal design achievement for me too! $1 Reserve - "Three Chairs"
OMG, I was scouting eBay about a month ago and look what I spotted. I couldn't believe my eyes... $1 reserve, based in Adelaide and a listing titled "3 x chairs". Yes these were the real deal. My opportunity to finally own an original *Featherson - 3 in fact! Anyway, when I placed my auto bid, there was one other bidder and so the bid climbed to $25 with me being in the lead. So it appeared the other bidder didn't plan to go too high. I had 6 whole days to wait for the auction to close, which felt like a lifetime, and anything could happen in that time! I decided to send a cheeky message to the seller asking if they would consider a buy now, but also made it clear that it was totally cool if they preferred the auction to simply run its course. Then within about 5 minutes my elated feeling suddenly turned to confusion and absolute despair. There was no reply to my message and THE LISTING HAD DISAPPEARED! After checking again and again, the listing had been removed. I sent another message to the seller asking if the chairs had sold, and again no reply. So I spent the rest of the week pining over the chairs and wondering what happened to them. Maybe the seller also had them listed on Gumtree or elsewhere, hence the sudden removal of the listing. I only hope they have gone to a good home full of people who will love and adore them forever! After this eBay disaster I really felt like I had been on a mad emotional roller coaster, and it has taken me this long to recover before I could share this tragedy with you! 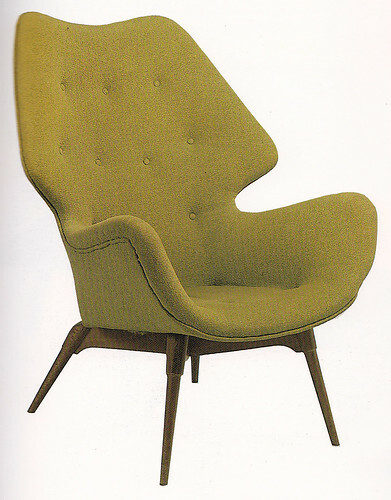 *Grant Featherson (1922-1995) was the genius behind this chair design. 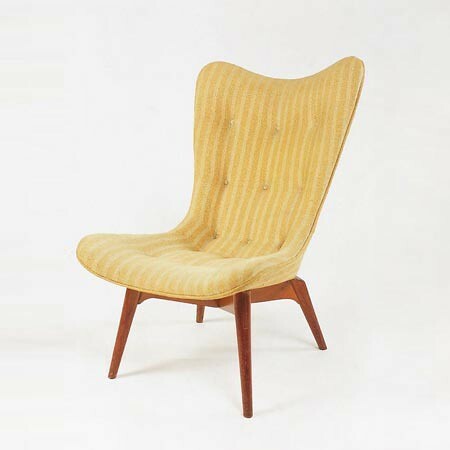 Self-taught, he produced the first of his famous plywood shell Contour chairs in 1951.